If you are facing any problem with recording, first you should ensure that your recording device is working properly and connected to your computer. 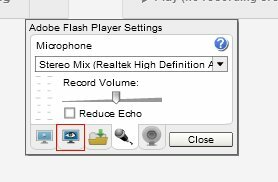 If you have accidentally denied access for recording, you can fix the issue by re-opening the privacy panel from your "Microphone settings" using this dropdown. The privacy panel is generally located on the second tab from the left with an eye icon into it. This will again bring out the Privacy Settings panel using which you can restore access. 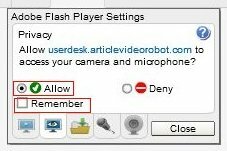 Please don't forget to check Remember option for continues access.